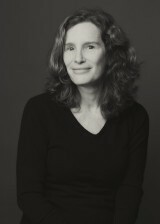 Lynn Thomson is a bookseller in Toronto, Ontario. Her first book, Birding with Yeats, is a touching memoir about a mother, her son and the wonder of the natural world. Birding With Yeats received the 2015 Edna Staebler Award for Creative Nonfiction.